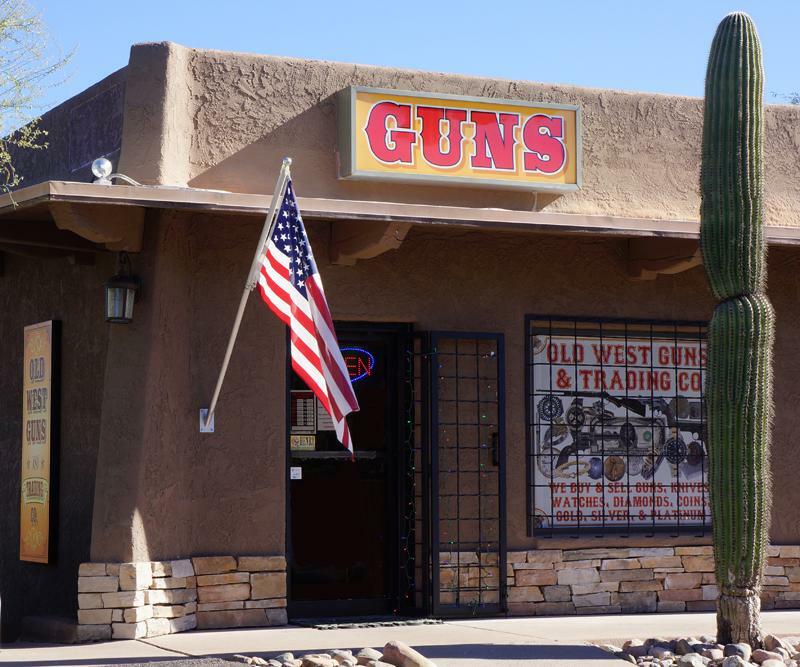 A nice little federally licensed gun store and trading post in Carefree, Arizona just south of the only stop sign on all of Scottsdale Rd (named Tom Darlington in Carefree), which is at the north end where it runs into Cave Creek Rd..
We have collectible, antique, new and used revolvers, pistols, rifles, shotguns, cowboy guns, factory ammo, and new cowboy load ammo. We also have custom gold, platinum, and silver jewelry, high-end watches, antique knives, switchblades, coins, paper money, old Indian pawn jewelry, baskets, pottery, rugs, a few taxidermy mounts, and some collectibles and antiques. We buy, trade, sell, and consign quality guns. We also buy knives, coins, jewelry, watches, diamonds, and scrap gold, silver, and platinum.